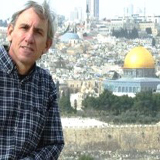 Zack Shavin talks about Jonah & Peter in Jaffa, Ezekiel’s Dry Bones & Zion in Tel Aviv, Pontius Pilate, Cornelius & Paul in Caesarea, Elijah & Baal at Mount Carmel, and the End of Days battle at Armageddon. This is the story of our Holy Land Experience: A pilgrimage tour through Israel in the footsteps of Jesus. It was truly the journey of a lifetime. We were led by Fr. Bob Colaresi, O. Carm., spiritual director & tour leader, and Zack Shavin, Tour Manager, veteran Holy Land Israel tour guide, and Bible teacher. 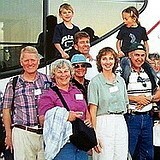 We came from all over the USA- from Nevada, California, Oklahoma, Massachusetts, New York and Chicago area. Most of the group gathered in NY Kennedy Airport. We held a prayer service in the chapel for safety and openness. Mary Ann did the reading. We had braved our own doubts and fears, as well as the fears of our relatives and friends. We sang: “Be Not Afraid” – “This is Holy Ground” – we read the Word of God – God’s call to Abraham and Sarah – the call to the Promised Land. We reflected on what of our experience and expectations we were bringing to the Holy Land. We prayed to the Holy Spirit to be open to what God wants for us. We were off on the first leg to the Holy Land on a spiritual pilgrimage of faith, wondering just what God might have in store for us. The flight was full – lots of Jewish ritual dress and prayers – food was okay – some people slept – daylight dawned several hours into the flight – there is something restless and endless about those long hours – the trip seemed like the 40 years in the desert – but it was smooth flying and our anticipation carried us through it. We were the children of Israel, off to the land of promise, with hope dawning. It was morning when we landed at the new David Ben Gurion airport in Tel Aviv, Israel – it was so good to be out of that plane – it was cloudy, with the sun trying to break out warm – we got our luggage and through Israeli customs – searching for bathrooms. Fr. Bob welcomed us and counted heads. We were here in the Holy Land and ready to see and embrace whatever God wanted to share and reveal to us. We met Zack Shavin, the tour manager and our guide. We piled onto our bus that would become very familiar to us the next ten days. Zach spoke refreshingly American English and sounded warm, welcoming and intelligent – he shared his delightful surprise that we had actually come and how brave we must be. Even then we suspected that this guide was going to be good, as we had heard. As we pulled out of the airport, he talked of the Holy Land as our spiritual home and our biblical background – he talked about the Holy Land as chosen and designated by God – to be for a people who would proclaim and carry God’s purpose and Word in human history. Zack Shavin mentioned that pilgrimage is about God taking us places – like Abraham from Ur to Canaan and Joseph in Egypt – to reveal His plan – that by the end of the pilgrimage we will be in a different place spiritually. Zack wished us “Shalom” whose Hebrew root means wholeness or completeness. Driving from the airport, Zack mentioned and pointed out biblical Lydda or Lod where Simon Peter stayed on his way to Jaffa. The Jews had just finished the Feast of Tabernacles (Sukkot) and had prayed for rain – and there was evidence of the first rain in six months – it is a sign of blessing in a desert land. Zach talked about the three major Jewish holidays: Passover, Pentecost and Tabernacles. We drove to biblical Jaffa where Peter raised Tabitha and his experience of openness to the Gentiles. Our guide, Zack Shavin, showed us the harbor where Jonah fled from God amid uncertainty – fleeing God’s will and explained about the ancient harbor where the cedars of Lebanon were floated down to by King Solomon to build the Temple of Solomon. on Mount Moriah in Jerusalem. We reflected on Simon Peter’s vision of God’s “tallit”, Hebrew for prayer shawl, holding all the animals of the earth – how he had to listen more deeply to the message about Jesus sending them to the ends of the earth, beyond the Jewish world – listening to God at deeper levels seemed to be the message. Zack then showed us the panoramic view of modern Tel Aviv growing around us. 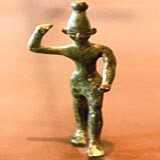 We were on “the Way of the Philistines”, also known as the Via Maris (“Way of the Sea”) in Roman times. Zack Shavin pointed out that the Israelites avoided this road in the Exodus by going into the desert. He also talked about the history of Tel Aviv as the fulfillment of the Zionist dream. He explained that the name meant “hill of the spring” and is taken from the Prophet Ezekiel’s Valley of Dry Bones (Ezekiel 37). 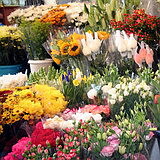 Spring symbolizes rebirth: Tel Aviv, founded 100 hundred years ago by Jewish pioneers, reflects the return to Zion- the rebirth, the coming to life of the Jewish people in God’s Promised Land, in a very real and practical way. 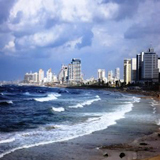 Zack talked about the founding of Tel Aviv as the heeding of an inner call by a handful of Jewish pioneers. That they followed an instinct of the heart, not rationally explained. The Zionist founders of Tel Aviv and Israel, who returned to build in this empty place, were pilgrims as we are – not doing the rational thing – that faith always involves a struggle. We needed to eat so we drove to the Carmel Market in Tel Aviv – all fresh products – lots of pomegranates in season,fresh squeezed juices, small restaurants – we were mixing with the locals. As we drove to our hotel, Zack Shavin explained Ben Yehuda who helped develop the modern Hebrew language.We then drove to our hotel on the Mediterranean Sea for some rest, shower and some walked on the beach before dinner was served at our hotel. At 7 PM we celebrated Mass. We celebrated the self-emptying of God in Jesus and reflected on what we need to let go of to “listen” on this pilgrimage. We looked at why we had come to the Holy Land and what we expected. The message was surrender our expectations to the God of Israel – and let divine activity happen. Many shared something we would have to let go of or surrender to be open to God’s activity on this pilgrimage – there was some powerful and poignant silence – and some tears. Fr. Bob gave us our Liturgy books and a daily Scripture reading guide. We had a wonderful buffet dinner and later went to sleep with the waves of the Mediterranean Sea splashing in our ears. We were really here in the Holy Land! It was short night – sunny and warm as we awoke – breakfast and luggage on the bus – our Morning Prayer was on Elijah – we were going to ascend and be called to faith like Elijah. We were driving along Peter’s journey from Jaffa to Caesaria. We continued north along the Mediterranean coast, following in the footsteps of Simon Peter and a new world. Passing Herzliya, the Hi Tech center of Israel, Zack Shavin, our guide, explained that the town was named after Theodor Herzl, the late 19th century founder of the modern Zionist movement. 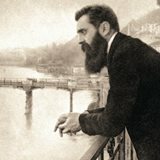 Zionism called for an active return to Zion- doing it, not just wishing it, and for many the belief that God is moving history. Passing, near the lovely beach side town of Netanya, Zack explained that it was founded and settled largely by Jewish refugees and immigrants after the Holocaust and talked about the prophetic fulfillment of the “ingathering of the exiles” from around the world which Israel represents. Zack talked about the early days and challenges of the 50’s & 60’s immigration when his family came over. We came to Caesaria, the ancient Roman capital at the time of Jesus, which was built by Herod the Great – it had a great port. We sat in the Roman theater and read the account from the Acts of the Apostles of Peter going to Caesaria to visit Cornelius, a Roman Centurion, after his vision in Jaffa – the issue of opening the message of Jesus to the Gentiles, the struggle of openness and boundaries. We then reflected briefly on following faith, about the struggle the early followers of Jesus, esp. Peter. How he had to be faithful to the message of Jesus as they confronted the larger world – especially the Gentile world – and created a new and broader future of God’s Reign. That strange but wonderful feeling began to arise in our hearts – we were really here – following the paths of Jesus and the early apostles. Scripture would come alive! Zack Shavin talked about the Roman context of the times of Jesus and the struggle facing Simon Peter and the followers of Jesus – he talked about a “pilgrim” meaning “one who ascends” – and how this journey might be a struggle – an ascent of the spirit and somehow a call out of our comfort zone! Zack talked about the biblical message that God creates to give Self away – the purpose of the Jews was to carry the Word through history to all people’s – this was Simon Peter’s vision – we reflected on Proverbs saying the “human soul is the divine spark” and how we are to be a “light to the nations”.Zach told rabbinic stories about God being the flashlight and the protector at our doors. Zack Shavin then talked about how Cornelius would come to learn about and understand the biblical faith and customs from his local Jewish friends in Caesarea – and thus be open to messianic expectation and Jesus. 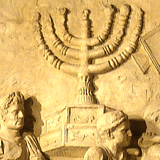 He explained the Jewish custom of almsgiving (in Hebrew “tzedakah” means “to do righteousness”), as a way of redeeming and of doing justice – how it was unique in the ancient world. Justice involved community responsibility for others – we are our brother’s keeper! Zack explained that it was also probably here in the seaside palace built by King Herod that Paul was brought for questioning before the Roman governor Porcius Festus (c. 59-62 A.D.) two years after his trial before the the previous governor of Judea, Antonius Felix. During questioning Paul appealed to caesar himself (Act 25:11-12) – the emperor Nero (54-68 A.D.). In Rome Paul was kept under guard for two years until Nero heard his case (Acts 28:30). 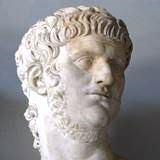 According to Eusebius, church historian and bishop of Caesarea (314 A.D.), Nero had Paul beheaded and Peter crucified. Zack explained that in the year 66 AD, a few years after Paul was sent to Rome, the great Jewish revolt broke out against Nero and the Roman empire here in Caesarea. 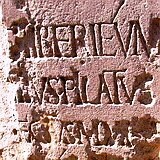 It took the Romans seven years to suppress it and led to the destruction of the Temple in Jerusalem and fall of Masada. We then strolled through the recently excavated Hippodrome where the Romans raced horses, viewed the Crusader city from the 12th/13th century and the area that would have been the Jewish quarter in Roman times. We then went to see the ancient Roman aqueduct which brought water to Caesaria from Mt. Carmel before going to lunch. Back on the bus we continued north along the Mediterranean coast to Mount Carmel. Fr. Bob then talked about the Carmelites – their founding amid the disillusionment of the Crusades.- explaining Elijah, Our Lady of Mount Carmel, the Carmelites and Carmelite spirituality (John of the Cross, Teresa of Avila, St. Therese and Brown Scapular) – we drove up Mount Carmel (the Garden of God) to the base of the Wadi ein Siah and started our climb up Mount Carmel. It was warm & sunny as we ascended – dry river beds thirst for living water – Fr. Bob explained the Prior’s cell at the beginning of the 12th century original monastery – in the ancient ruins of the chapel of “Our Lady of this place”, near the Spring of Elijah, we celebrated Eucharist, amid weeds as the breeze was blowing and proclaimed the Word of God – Our Lady of Mt. Carmel helps us be focused where we are – where God meets us and invites us to listen deep within – listen to the whisper that is our truth! Several among us renewed their vows as Carmelites – the gentle breeze was the biblical whisper – we suspected God was speaking loudly and we’d better listen – some started to collect rocks and we drew water from the spring of Elijah – some went up to the Prior’s Cell. We drove out of Haifa along the top of the Mount Carmel ridge and after about 30 minutes arrived at Muhraqa. Zack explained that this is the place where tradition remembers the prophet Elijah’s confrontation in the 9th century B.C. with the 450 prophets of Baal and 400 prophets of Baal’s consort Asherah – during the reign of Ahab, king over Israel, and his evil pagan wife Jezebel. 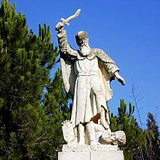 Jezebeel had been trying to eradicate the memory of 1,200 years of Jewish history with God by introducing Baal worship throughout the Land of Israel. Zack explained that Baal was one of the main Canaanite gods- the storm, rain, and fertility diety – equivalent of Zeus in the Greek world. Elijah called the people not to defile the Lord – the jealousy of God demanded a fiery revolution of purification – that he obliterate the Baal worship, because Baal was a god of fear from beyond – a god to be kept happy. God had warned against Baal worship and sent a severe drought upon the land which brought famine. Zack explained that Israel being a land without significant rivers depended on the seasonal rains, without which there would be no grain and wheat. That God in the Bible says that he intentionally chose a Promised Land without great rivers so that the people would learn to trust not in stone gods of power and fear, but the one God of Creation, Master of the Universe, our God of love, justice, compassion, and mercy. Zack Shavin explained that the God of Israel is the God of freedom and dignity – the God that lives within us – that we are created in the divine image and are to be creative and take responsibility for fulfilling God’s plan – to be light to the world – if we are true to God and ourselves, we are free! How there is no possibility for growth without memory, especially their sense of responsibility for the creation and for themselves. Remembrance is the key to salvation. 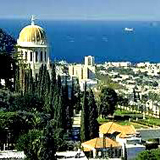 The confrontation at Muhraqa on Mount Carmel changes the emphasis from keeping a stone god happy to taking more responsibility – that the story is about the God that lives within us, that empowers and challenges every individual as a spark of the Divine and walking image of God to go out into the world, be proactive in our societies and families, and make the world a better place. Tel Megiddo with the Valley of Jezreel or Armageddon behind. Photo by Itamar Grinberg. We drove down from the top of Mount Carmel into the Jezreel Valley- also known as the Valley of Armageddon. – and continued to nearby Megiddo, a biblical Tel or mound with over 25 layers of cities built one atop the other. 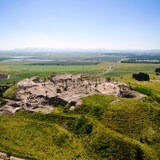 Zack Shavin explained that Armageddon means “hill of Megiddo” in Hebrew and that the world “megiddo” means “God’s bounty” – that the surrounding valley was and still is the bread basket of Israel where much of the wheat is grown. This is also reflected in the name Jezreel which means “God will sow [the wheat]”. Zack explained that strategic position of Megiddo, situated at the crossroads of three intercontinental roads and trade routes, coming from Europe, Asia, and Africa, is what made it so important in Bible times. It’s also why in the Bible Megiddo or Armageddon will be the place of and End of Days war or struggle as written in Revelations 16:16 “and I gathered them into a place called in the Hebrew tongue Armageddon…”. The sun was setting as we drove across the lower Galilee. It was dark as we reached our kibbutz guest house on the Sea of Galilee – we had dinner and we able to finally unpack – it was quiet and peaceful – we were on the Sea of Galilee! Have you enjoyed reading this Holy Land Pilgrimage Journal Days 1-2 regarding Jaffa, Tel Aviv, Caesarea, Mount Carmel, and Armageddon? 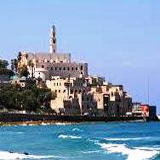 Would you like to personally experience Israel and the Holy Land? Contact Zack and get started planning today!